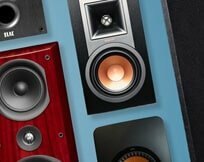 In a nutshell: This article is an overview of your Fit's audio system and its upgrade options. 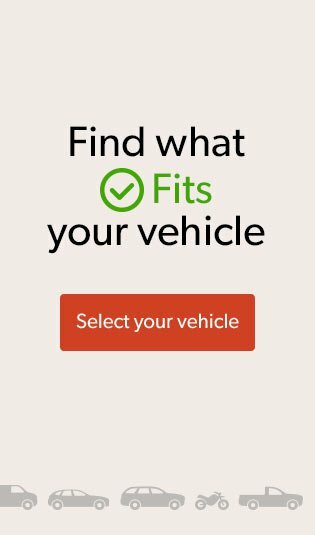 Use our vehicle selector to find the gear that will fit your car. Subcompact economy cars were once derisively (and in many cases, deservedly) referred to as “penalty boxes.” Just ask one of our writers about the 3-state, 800-mile round-trip he endured at the wheel of a rented subcompact a decade ago. On second thought, just…don’t. 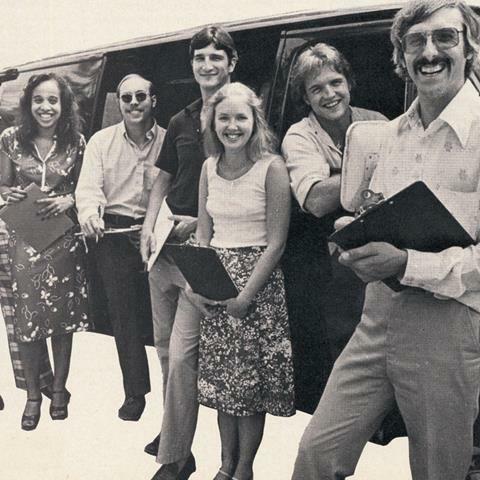 Trust us; the only positive thing he’ll grudgingly say about that car is that it got great gas mileage. The 2007-08 Honda Fit gets great mileage, too. But, unlike our friend’s unpleasant weekend companion, the first-generation Fit also looks kinda cool, holds a surprising amount of stuff, gets out of its own way on the interstate, and actually provides comfortable seating for at least two adult humans. No wonder it was a perennial fixture on every car magazine’s “Best” list. When a gallon of gas costs more than a quarter-pound cheeseburger, a subcompact is a very good thing to have. 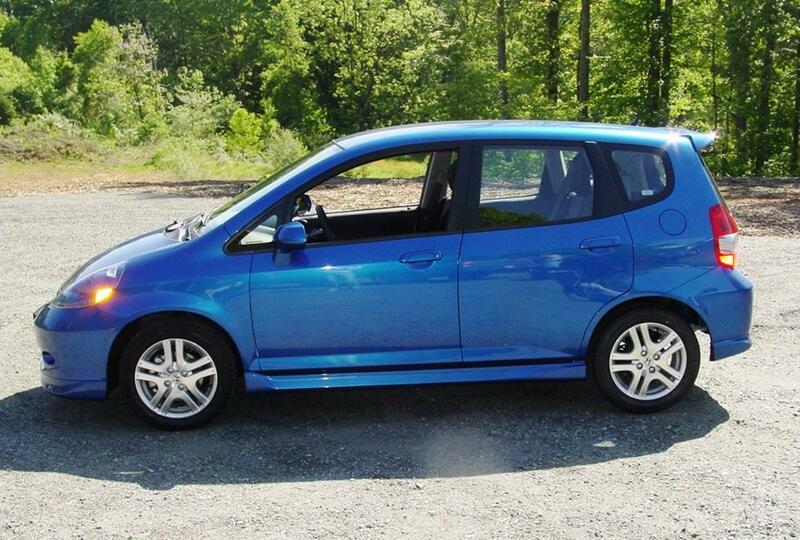 The Honda Fit proves that a subcompact can also be a very good car. The base-model Fit is, as you might expect, rather basic, though it does have a four-speaker AM/FM/CD system. 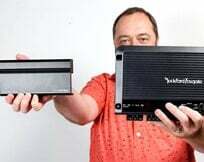 If you buy a Sport model, you’ll find a host of upgraded features, including an AM/FM/CD/MP3/WMA receiver (with an aux jack) and six speakers. Removing the factory radio isn’t difficult, but it isn’t as straightforward as it might be in a larger car. The Fit makes very efficient use of every inch of space, but that also means that every inch of space is being used. That’s why you’ll find yourself removing the glove box (there’s wiring back there and you need to get to it) on your way to removing the radio. Again, it’s not difficult, but it is an extra step. The actual removal of things can be accomplished using screwdrivers, a socket wrench, and a panel tool, but you’ll also need patience when you’re removing the radio/heater control assembly. It’s held in place by seven clips that, in typical Honda fashion, are very, very tight. Use extreme caution when prying around the edges and releasing those clips. 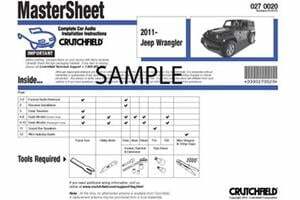 Complete instructions can be found in the Crutchfield MasterSheet™ that’s included free with your Crutchfield stereo purchase. When you look at the stock radio/heater assembly, you’ll notice that the right edge wraps around the knee panel on the passenger’s side. This interesting bit of asymmetric design is, thankfully, duplicated in the dash adapter kit, which is available at a very nice discount with your Crutchfield stereo purchase. 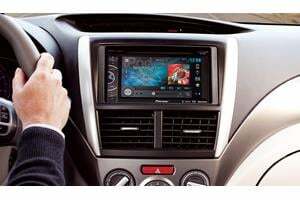 The kit works with both single-DIN and double-DIN receivers, so you can install everything from a run-of-the mill CD receiver to a 4” full-screen navigation unit in your Fit. The installation kit comes with complete mounting and installation instructions, as does the wiring harness that's also available at a discount with your purchase. 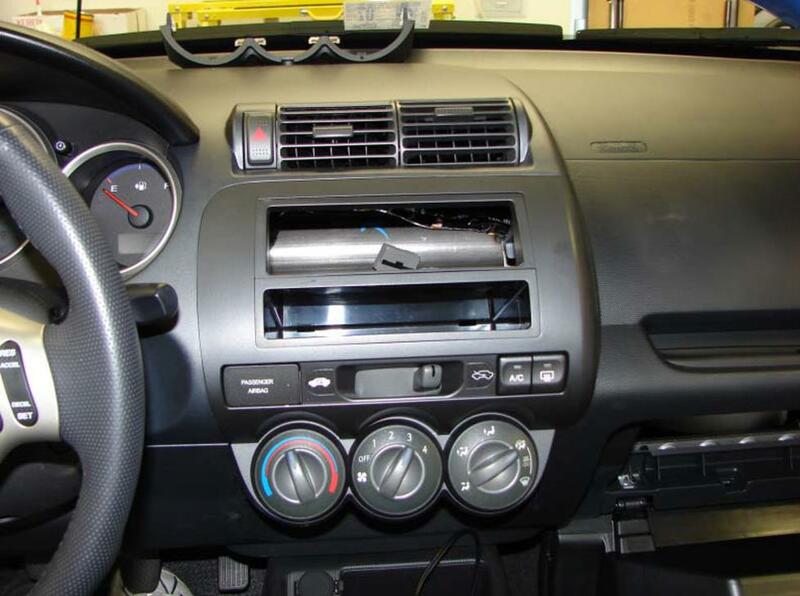 Once your new receiver is mounted and installed, reassemble the dash by reversing the removal process. It's relatively easy to retain the steering wheel audio controls when you install a new stereo in your Fit. When you enter your vehicle information, our database will choose the adapter you need to make your factory steering wheel controls work with your new receiver. 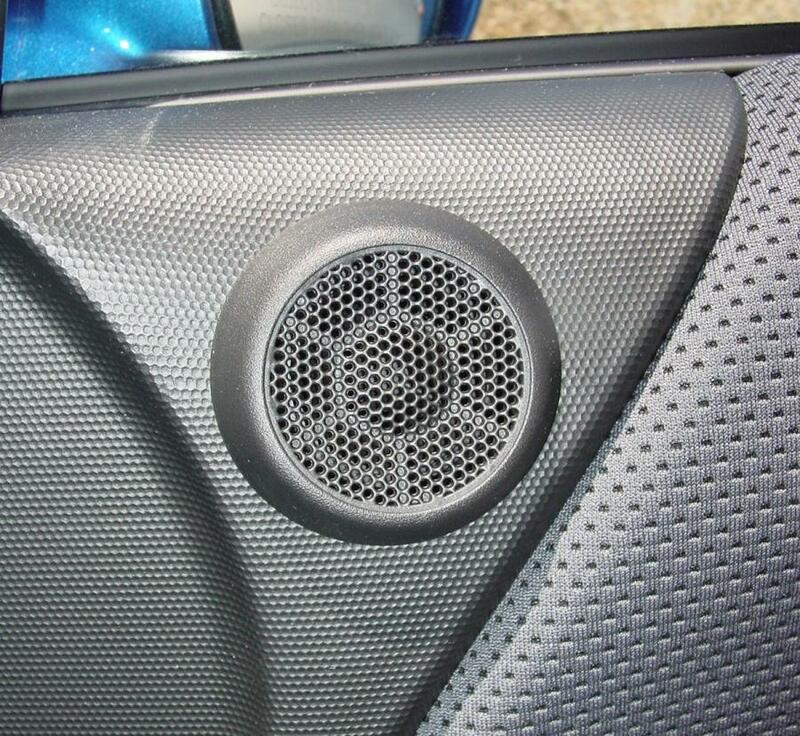 Upgrading the speakers in your Fit will really make a difference in your overall sound quality. On the standard Fit, you’ll find 6-1/2" speakers in the base of each front door. The Sport model adds a set of tweeters in the sail panels, but we’ll get to those in a moment. For now, let’s take a look into the doors. Aftermarket 6-1/2" or 5-1/4" speakers will work nicely here, but a speaker adapter bracket (available at a discount with your Crutchfield speaker purchase) is required in either case. You’ll also have to do some minor drilling to install your new speaker/bracket combo. 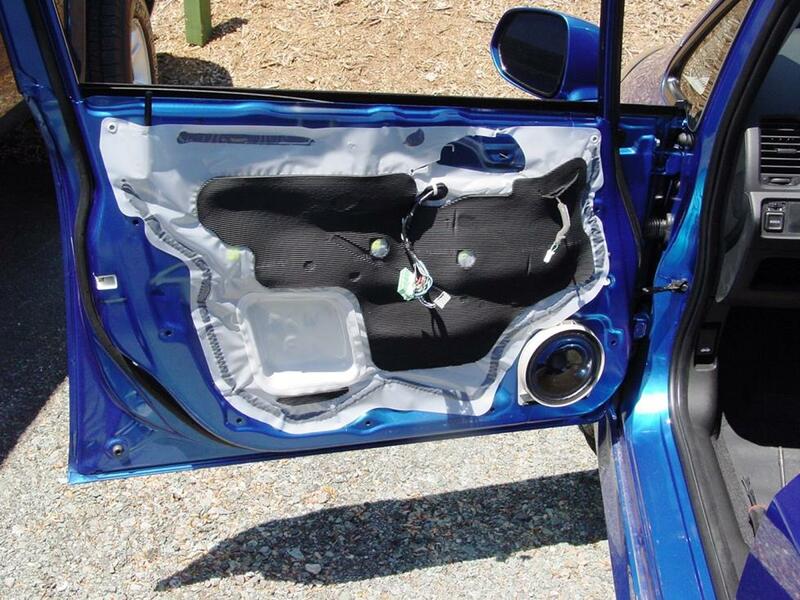 To remove the door panels, you’ll start by removing the door release assembly, then the armrest. Next, you’ll need to disconnect the door release rod, then pry the armrest away from the door panel. Here, and when removing the door panel itself, you’ll encounter those remarkably snug Honda retaining clips. As always, use extreme care when prying them away with your panel tool. 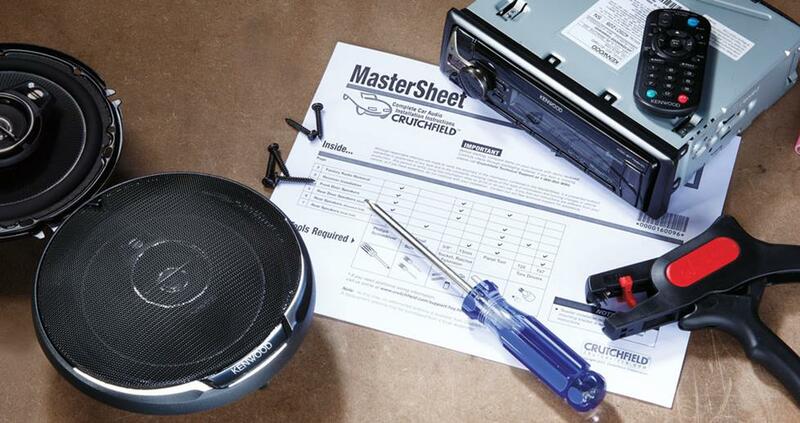 Your Crutchfield MasterSheet has in-depth details on this and other aspects of the installation. To remove the speaker, use a flat head screwdriver to push the metal clip at the top of the speaker downward while pushing the speaker outward to release it. Disconnect the wiring harness and remove the factory speaker. Most aftermarket speakers don’t attach with metal clips. So, to install your new speaker, you’ll need to drill new mounting holes. Mount the new speaker in the adapter bracket, then place the speaker/bracket assembly in the mounting location and use it as a template to mark mounting holes with a pencil or permanent marker. Then, drill the new mounting holes with a 1/8" bit. 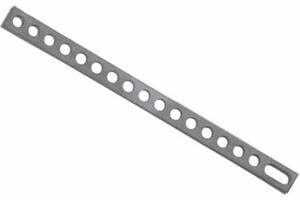 There’s nothing difficult about drilling a hole, of course, but you are drilling into a metal car door here, so be careful, be patient, and wear eye protection. From there, attach the speaker wiring adapter (also discounted with your Crfutchfield purchase) to your Fit’s speaker harness, then secure the speaker/bracket combo to the door using self-drilling/self-tapping screws. In all likelihood, your speakers won’t come with mounting hardware, but the screws are available at your local hardware store. If you’re planning to upgrade the rear speakers, buy extras now and save yourself a trip. Once the assembly is attached, test to make sure the speakers are working properly before you reinstall the door panel. The tweeters, found on the Sport model only, are located behind grilles on the door panels. Getting to them is merely a matter of removing four Phillips screws and removing the tweeters from their brackets. The factory models measure 1.416" in diameter, with a mounting depth of 1.494". To install new tweeters underneath the factory grille, you’ll have to find or fabricate new mounting brackets. Our universal backstraps will help, because they can be cut or bent to the size or shape you need. Depending on the aftermarket tweeters you choose, you also have the option of surface-mounting them on the sail panel. A speaker wiring adapter is not available for the tweeters, so you’ll need to splice into the factory wiring system. A set of Posi-Products connectors can make this easier. 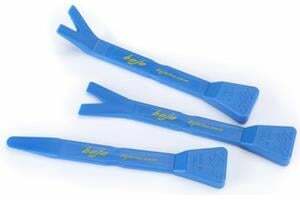 These wonderful little things help you make connections without crimping, soldering, or tape. Just strip your stranded wires, insert them in the caps, then hand-tighten the two caps together. The wire ends get locked between opposing cone shapes to create a water-, dirt-, vibration-, and heat-proof housing. All this might sound a lot more complicated than it is, but don’t let this added bit of work deter you from adding a set of component speakers. The improvement in sound quality is well worth the effort. 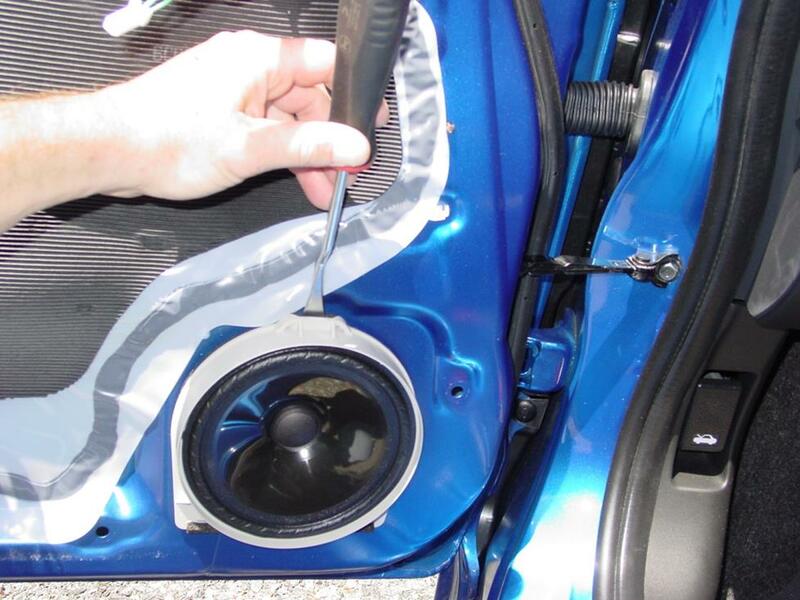 Replacing the 6-1/2" rear door speakers is a lot like replacing the front door speakers. 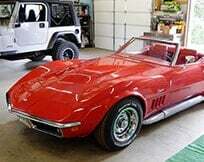 And when we say “a lot,” we mean “essentially the same.” You’ll need to remove the sail panel in the trailing edge of each rear door before diving into the rest of the removal process, but that’s the only notable addition to the task list. Just remember to be gentle when prying off the panels and to be careful when drilling your new speaker mounting holes. Aftermarket 6-1/2" or 5-1/4" speakers will work in the rear doors, too. 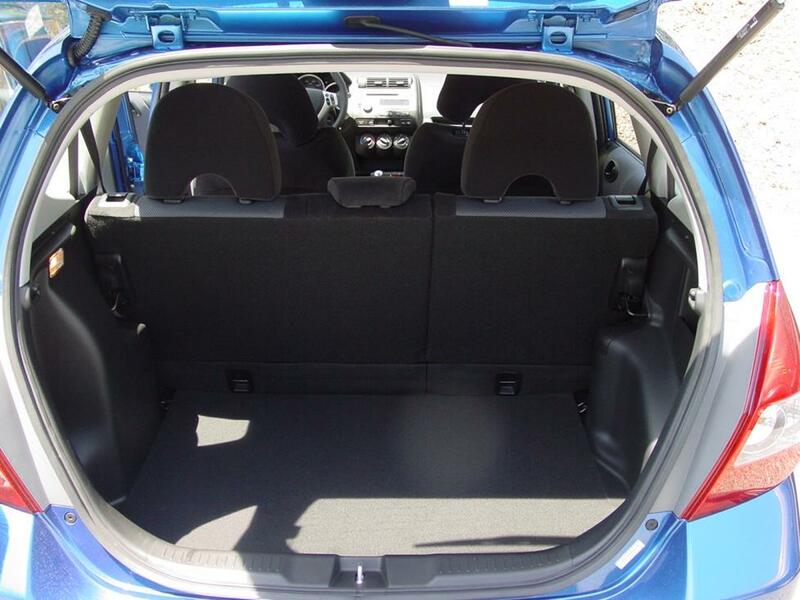 For a relatively tiny car, the Fit has a lot of available storage space. With the seats in their upright and locked position, you have 40” W x 21” H x 27” (bottom) /17” (top) D worth of available space back there. If you’re still planning on using your Fit to buy groceries and things like that, you might want to consider a powered subwoofer. 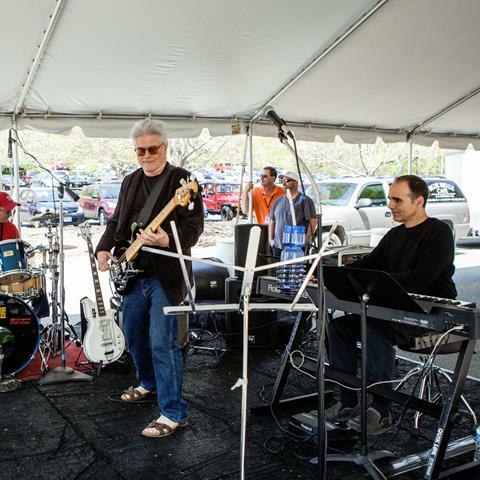 They take up less space that a subwoofer box and can fill your car with plenty of bass. Powered subs are also more convenient because the amp is built in, so you don't have to shop for — or install — separate components. 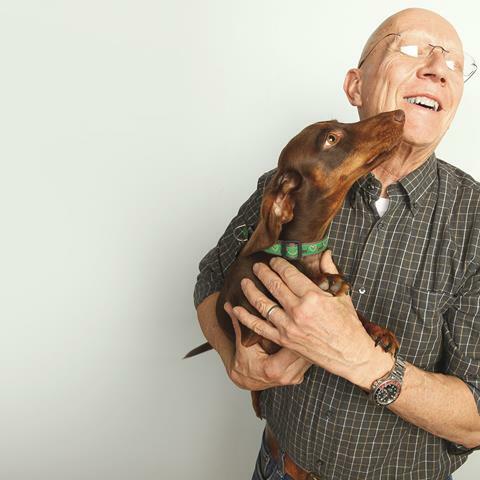 Not everyone is up for replacing the factory receiver. Not a problem. You can still add versatility and great sound to your Fit, especially if you’re okay with the idea of going CD-free. 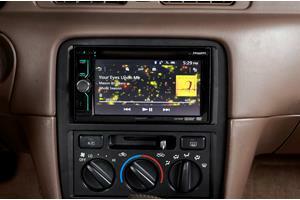 We offer several adapters that will allow you to use an iPod, MP3 player, or satellite radio with the factory system. Bear in mind that you need to connect the adapter to the back of the factory radio, so you’ll still need to follow the radio removal instructions above. You can upgrade the speakers later for even better sound. The Fit has a well-earned reputation as a solidly built car, but it’s still a subcompact and it can be a bit buzzy at highway speeds. The Dynamat Xtreme Door Kit is the perfect way to seal out the noise and seal in the sound. This heavy-duty insulating material is easy to install, and it really makes a difference. 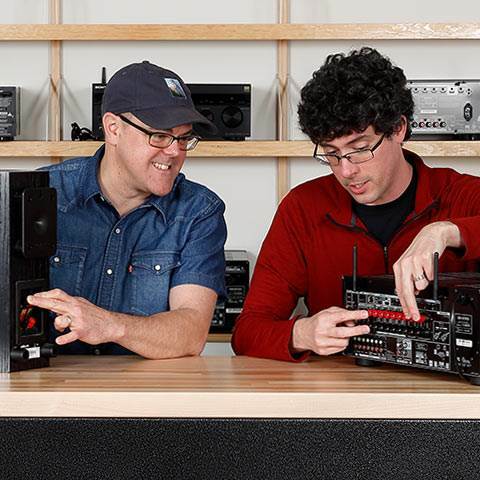 This is a great thing to do while you’re installing new speakers. Why take the doors apart twice if you don’t have to? One kit will take care of the front doors. Installing a security system in your Fit isn't easy (security systems rarely are), but it's definitely a good idea. 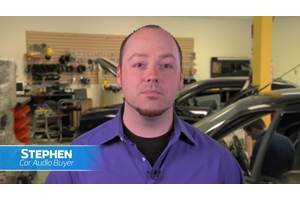 Our Crutchfield Advisors can help figure out what you need to get the job done, but we usually recommend taking your car and new gear to a professional installer. Mike, The rear door speakers are 6-1/2" models, too. Aftermarket 6-1/2" or 5-1/4" speakers will work just fine. 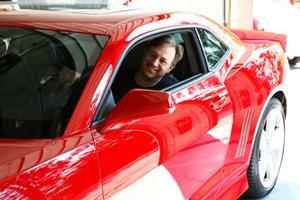 Hey Jon, I'm just curious what size the rear door speakers are in the base model. You mention the front doors have 6-1/2" speakers, but don't mention what the size of the rear speakers are. Thanks! Nate, When in doubt, don't mess around with an airbag. If you bought your gear from Crutchfield, you can call Tech Support for free help troubleshooting your system. 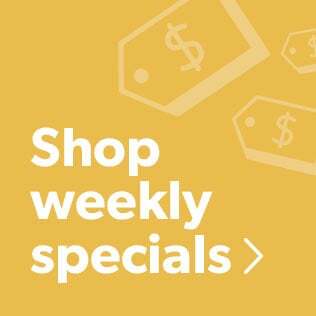 If you purchased your equipment elsewhere, you can still get expert Crutchfield Tech Support - 90 days-worth for only $30. Check out our tech support page for details. David, In all honesty, the simpler course of action is to replace the factory radio. There are lots of aftermarket models with AUX inputs (and a lot more) that will work in the Fit, and the dash kit (included at a discount with your Crutchfield order) blends right into the dash. I've sent your question to our sales team, and they'll be contacting you via email soon. 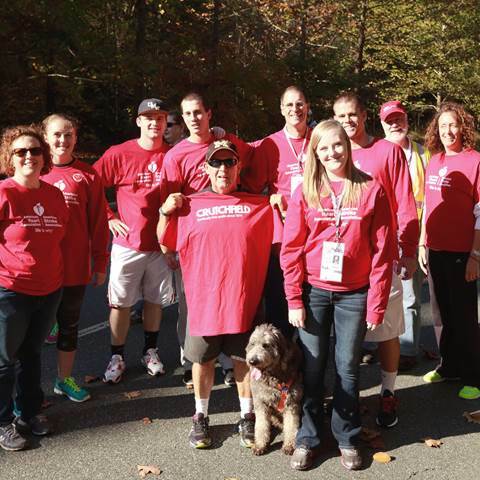 For immediate help, you can contact them via phone or chat. I have a base model 2008 Fit. (Like, as base as it gets-it doesn't even have an electric lock switch on the passenger-side door.) The stereo has an AUX button, but no AUX input (1/8" stereo for my iPhone/iPod, etc.). I want to install and AUX input. Today, I noticed that "inside" the glove box (inside the tray assembly) was some sort of socket labeled AUX. Is this where I'd input some sort of kit? If not, how do I do this-and how much will it cost? 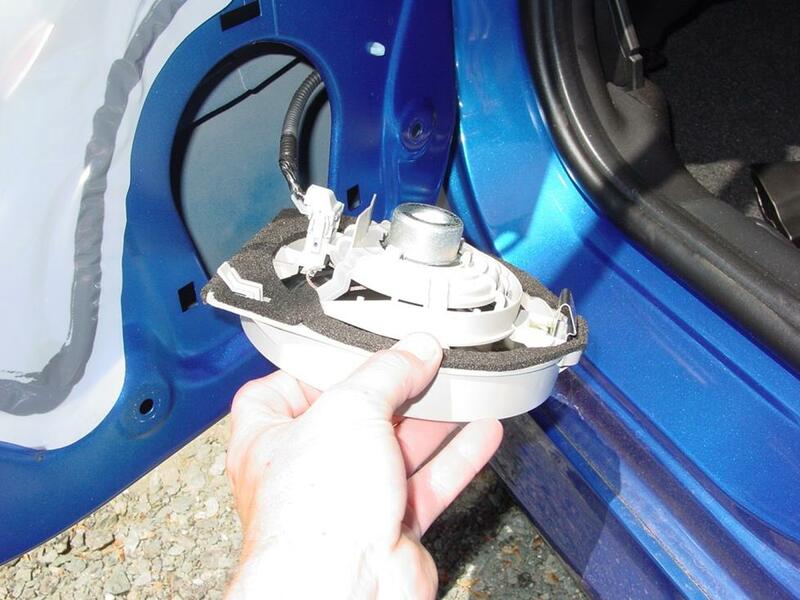 this is the only place I was able to find a door bracketed speaker exactly like the one in my car. 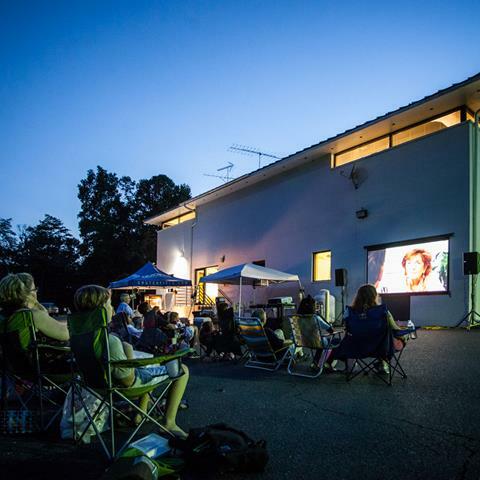 Thanks Crutchfield! I'm going to your site to looks for speakers now! Ken, Bummer about the missing manual. Assuming we're talking about the factory radio, you might be able to get some help from a Fit owners' forum. You could also surf around for someone selling a second-hand manual for the Fit. Good luck! 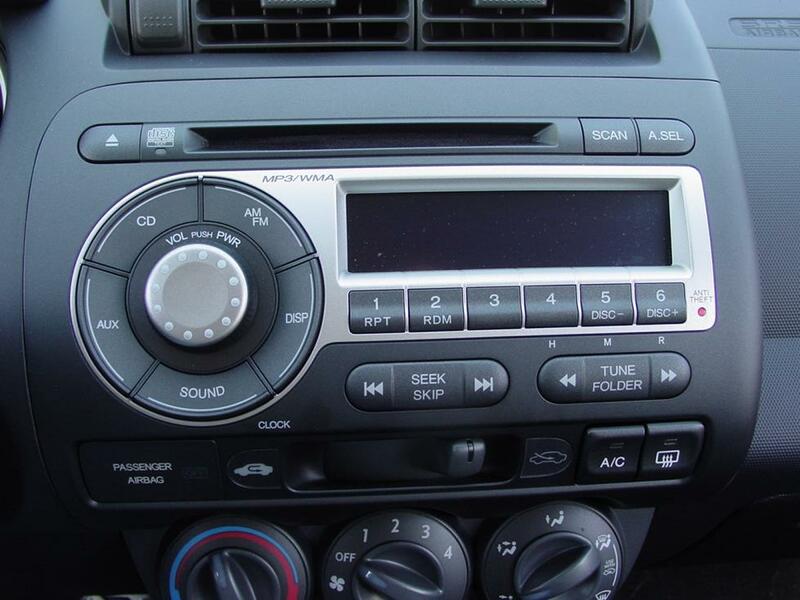 Although I know how to tune my radio in my 2005 Honda Fit, I don't know how to lock it in. I haven't got a car manual. Can you help?